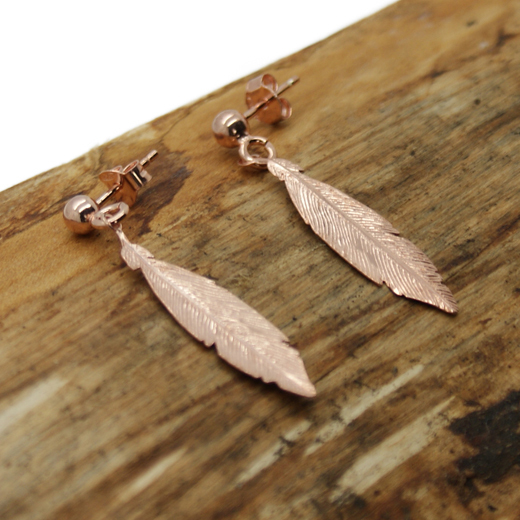 This is a popular light weight single feather silver rose finish earring design. 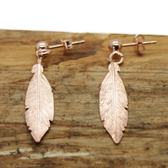 Feathers are symbolic of bravery, honour and trust and were worn by Native American Chiefs to represent their ability to communicate with the spirit world and to symbolise their infinite wisdom. 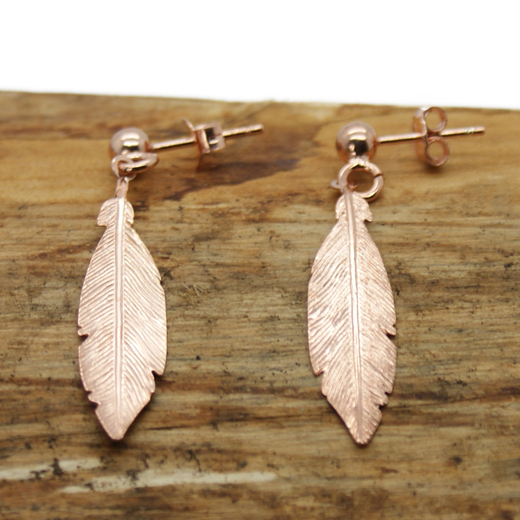 The feather is suspended on a single ball post and falls delicately past the ear. 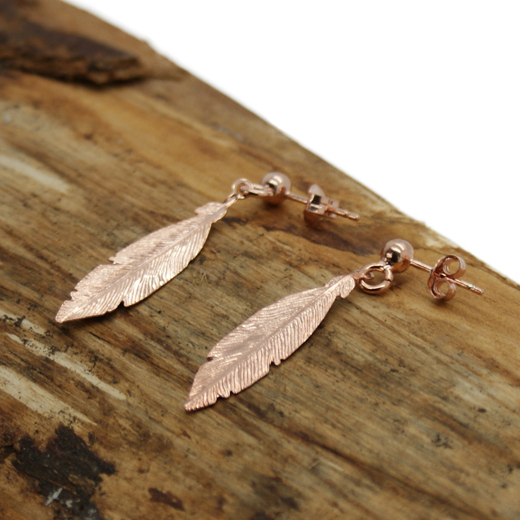 These earrings will add glamour to any look both day and evening.